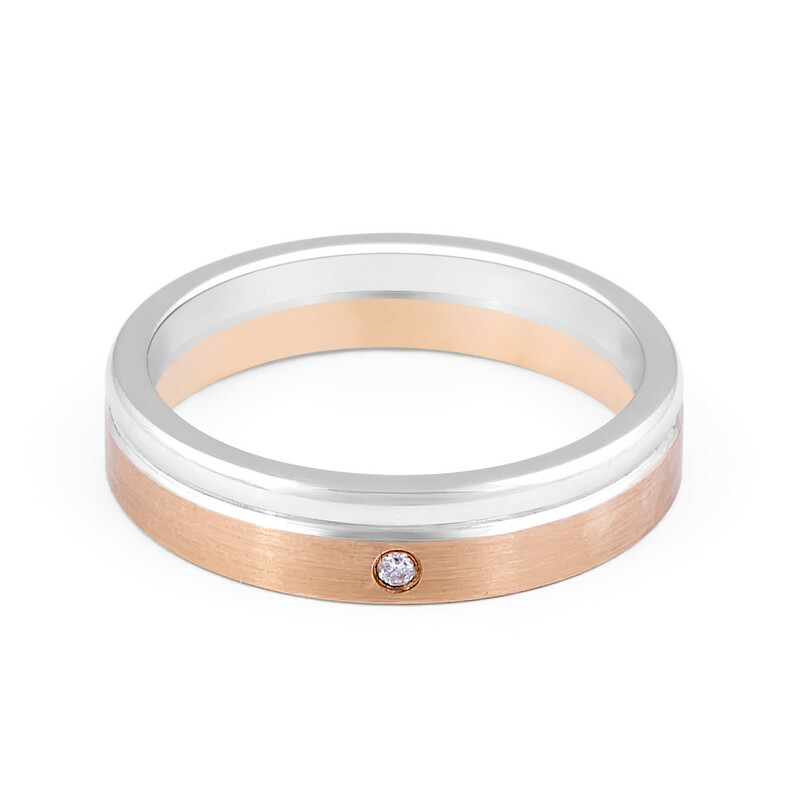 Modern wedding band design with straight edges featuring a burnish set round brilliant diamond. 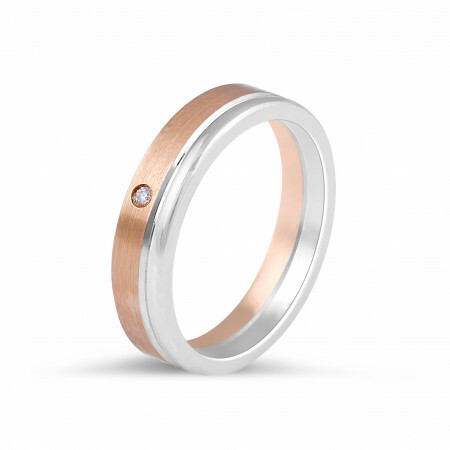 Two-tone feature is enhanced by the contrast of brushed and polished metal and an inlay detail. 18 Karat Solid Modern two-tone wedding band featuring a round brilliant cut diamond in 4.00 MM.